“Facebook is the most difficult channel for us” a social media manager at a foreign ministry recently admitted, echoing a sentiment shared by many a social media manager about the platform. Technically world leaders, governments and foreign ministries have their biggest audiences on Facebook compared to their size of their audiences on Twitter or Instagram. However, with Facebook’s change of algorithm it has become more and more difficult for governments to stand out and reach the 2.3 billion monthly active users organically. According to the 2019 edition of World Leaders on Facebook, part of the acclaimed Twiplomacy series from BCW (Burson Cohn & Wolfe), the governments and leaders of 182 countries – seven more than in 2017 – had an official presence on the social network, representing 94 percent of the 193 UN member states. The governments of only 11 countries do not have a Facebook presence, including Eritrea, Laos, Mauritania, Nicaragua, North Korea, Swaziland and Turkmenistan and a small handful of Pacific island states. One hundred and eight heads of state, 83 prime ministers and 88 foreign ministers maintain personal pages on Facebook and, in general, they are more popular than the pages of their respective institutions. As of March 1, 2019, all 692 personal and institutional Facebook pages of world leaders had a combined total of more than 345 million page likes and registered 767 million interactions since March 1, 2018. Growth of the Facebook pages of world leaders has been considerably less than in previous years. All pages combined have registered a 10 percent growth in followers year on year. The Facebook page of Indian Prime Minister Narendra Modi has grown by less than one percent over the past 12 months and his institutional page @PMOIndia registered a decline, losing 84,533 over the past 12 months. The page of Donald Trump has only grown by three percent, a fraction of his growth rates in our last study. Interactions on their pages have dropped significantly. While world leaders registered 1.1 billion interactions in 2016, that number has decreased by 32.3 percent compared to their interactions in all of 2018. However, a few leaders have been able to buck the downward trend, particularly those who are in campaign mode. Facebook pages tend to become alive and register strong growth during election campaigns. Not surprisingly, the Facebook page of Brazilian President Jair Bolsonaro has registered the most growth over the past 12 months, adding 4.1 million new fans. Mexico’s new president, Andrés Manuel López Obrador, added more than 3 million likes over the past 12 months and more than doubled his followers. And Ukraine’s President Petro Poroshenko, who is facing an election on April 21, 2019, has tripled his followers to 2.3 million. Read the full post by Rasmus Eljanskog, Press Officer at the Swedish Foreign Ministry. In early February 2019, German Chancellor Angela Merkel made headlines announcing her decision to delete her personal Facebook page @AngelaMerkel. In a farewell video message on the page, she thanked her followers for their support and asked them to follow the governmental accounts on Facebook and Instagram instead. By the time of the deletion, her page had 2,541,471 followers, making her the most followed EU leader on the platform. In mid-March 2019, Kenya’s President Uhuru Kenyatta temporarily deleted all his social media profiles, including his Facebook page which has 3.6 million followers and is the most followed Sub-Saharan African leader. The profiles were taken down because of ‘unauthorized access,’ according to his chief of staff, and they have not been revived yet. The official page POTUS page set up for the President of the United States, which has 2,666,220 followers, has been dormant since May 2018 as President Donald Trump prefers to use his personal page. It is highly unusual for world leaders to delete their social media pages during their life time. The page of former UN Secretary General Kofi Annan and the page of Nelson Mandela continue to be managed by their respective foundations. Read all about the Facebook strategy of the Swiss missions abroad by Renée Bäni, Head of social media center of competences, Presence Switzerland, Federal Department of Foreign Affairs Switzerland. How do World Leaders use Facebook? Brazil’s new President Jair Bolsonaro, who took office on January 1, 2019, has dominated the rankings of World Leaders on Facebook over the past 12 months and has taken the top spot from U.S. President Donald Trump. The Brazilian president has been emulating Trump in tone and style, running a social media-powered campaign that successfully uses Facebook to bypass mainstream media. Bolsonaro’s Facebook page has registered more than 145 million interactions, almost twice as many as President Trump, who has 84 million total interactions and 2.5 times as many followers. Bolsonaro averages more than 100,000 interactions per post, compared to 53,000 for Donald Trump, and this and without having promoted any of his posts on Facebook. Meanwhile, Donald Trump’s page has run more than 50,000 ads related to politics or issues of national importance since inception, according to Facebook’s Ad Library (see below). Sixty-one of the 100 Facebook posts with the most interactions are from Bolsonaro, while only 10 posts from Indian Prime Minister Narendra Modi and nine posts from Donald Trump make the Top 100 list. The most liked Facebook post of any world leader over the past 12 months is the text update Jair Bolsonaro posted on the day of his election on October 28, 2018, reporting the congratulatory phone call he received from President Trump whom he tagged in the post which garnered 549,899 likes. “We express the desire to bring these two great nations closer together and to advance on the path of freedom and prosperity!” Bolsonaro wrote. The post that received the most comments and was shared the most is a Facebook live broadcast Bolsonaro organized, flanked by his team shortly before the first round of the elections. The Facebook post that received the most expressions of love was a Facebook live broadcast by Bolsonaro election night, flanked by his wife and a sign language interpreter, thanking his followers and claiming “a new future awaits us.” Bolsonaro also received the most expressions of laughter for a picture which shows him chairing a cabinet meeting dressed in a fake T-shirt of his favourite football team, Palmeiras, while all ministers are wearing ties. The Facebook post with the most expression of sadness and crying emojis was posted by Indian Prime Minister Narendra Modi on February 14, 2019 when he paid homage to the 40 Indian paramilitary police who were killed in a suicide bombing in Indian Administered Kashmir. “We salute you, brave sons of Mother India. (…) We stand in solidarity with the bereaved families,”read the sombre note on Facebook. The Facebook posts with the most angry reactions are two live videos with former Brazilian President Michel Temer posted in May 2018 which have attracted 173,035 and 90,565 angry reactions, respectively. Bolsonaro’s post sharing the death threats he receives on social media garnered 55,797 angry emojis.,. Jair Bolsonaro and Donald Trump both post on average four posts per day, twice as many as the Indian Prime Minister Narendra Modi who has only half of the interactions compared to the U.S. President despite having almost twice as many followers. Posts that show a personal and often lighter side of world leaders often perform well on Facebook. Much like any other Facebook user, world leaders sometimes share information about their private lives on the platform, celebrating birthdays, sharing pictures of their children and announcing their latest offspring. These personal posts are generally the most popular ones. Only a handful of world leaders manage their pages on their own or post on their timeline themselves. This is generally done by their social media teams. However, there are notable exceptions. Singapore’s Prime Minister Lee Hsien Loong entertains his 1.2 million followers with occasional snapshots he has taken himself and he even participated in the #10YearChallenge, an Internet meme which consisted of posting a photo of yourself in 2009 next to a photo of yourself in 2019. Danish Foreign Minister Anders Samuelsen is visibly having fun on his personal Facebook page. He posts the occasional selfie and short video snippets from his activities, including going shopping on a skateboard or a 360° video from his skiing holidays. These raw and unedited videos might not have much news value, but they provide a glimpse into “life as the Foreign Minister of Denmark” and are certainly engaging for his 93,000-strong Facebook audience. Government use of Facebook varies from country to country. While some pages merely share the daily activity of their leaders, others engage with their citizens, replying to the most salient comments and even allowing a free-flow of visitor posts on their respective pages. Facebook has become the place where citizens can easily send private messages to their government leaders via Facebook Messenger. However, our study has found that few world leaders reply to private messages on the platform and many simply use the platform as a one-way broadcasting channel. With their publications on Facebook, world leaders can reach an audience of millions of Facebook users worldwide, regardless of the number of likes on their respective pages. Read why social media is a big opportunity for small countries by Anna Naghdalyan, Spokesperson of the Ministry of Foreign Affairs of Armenia. The 692 pages analyzed in our study have shared 449,739 posts since March 1, 2018. World leaders mainly tend to share posts with photos, accounting for 55 percent of all their Facebook publications. These photo posts generate an average of 1,333 interactions per picture and account for 34 percent of all interactions. Nineteen percent are posts with links to other websites, often including a visual. These link posts perform less well and only generate 327 interactions per post, or four percent of all interactions. Less than five percent of all the publications are text-only status updates without any visuals. However, these status updates generate, on average, 3,132 interactions totalling nine percent of all interactions. Not surprisingly, the three-picture collection on the British Royal Family’s Facebook feed of the wedding of Prince Harry and Meghan Markle has become the second most popular photo posted over the past 12 months, with 822,870 interactions including 186,170 expressions of love. President Trump’s picturecongratulating Judge Brett Kavanaugh on his Senate confirmation to the Supreme Court is the third most popular picture post. Read about the Facebook strategy of Moldova’s Foreign Ministry by Spokesperson, Alexandr Roitman. Not surprisingly, videos and live videos perform best on Facebook. Native Facebook videos represent 16 percent of all the posts but generate 26 percent of all interactions. A Facebook video garners, on average, 2,867 interactions and live videos have the best engagement with an average of 6,082 interactions per broadcast. Live videos generate the most likes, comments and shares and are clearly appreciated by users. The 90,678 Facebook videos posted on world leaders’ pages have been viewed 5.9 billion times with an average view count of 64,281 per video. The native videos have an average length of 3:37 while Facebook Lives run on average for 32 minutes. Links to YouTube and other videos shared on Facebook generate the fewest interactions with only 608 interactions per shared video. Most world leaders now share videos natively on the platform. Less than one percent of all posts are links to other videos and they only garner 0.34 percent of all interactions. Canadian Prime Minister Justin Trudeau’s annual Ramadan message to Muslims in Canada and around the world posted in May 2018 has become the most watched video over the past 12 months. The 55-second video has clocked up more than 10 million video views and 834,605 interactions, including 109,899 expressions of love. The second most watched video was posted by the Hungarian government blasting European parliamentarian and former Belgian Prime Minister Guy Verhofstadt for allegedly calling for more migration to Europe. The video’s dramatic music and voice-over claims that his policy “of more migration is reckless” and that “it is time to shake up Europe.” However, as a fact check by the French news agency AFP has shown, the clip of Verhofstadt has been taken out of context. The 35-second clip has been watched more than 9 million times, and so far, the government in Budapest has not taken the misleading video down. The third most watched video was shared by Brazil’s President Jair Bolsonaro during his election campaign in August 2018. The two-minute video, seen 8.6 million times, shows one of his supporters explaining in simple words why he will vote for Bolsonaro. The government of the Philippines leads in terms of the number of videos posted, with 2,359, followed by the page of the presidential administration of the Dominican Republic and Colombian President Iván Duque Márquez, posting 2,337 and 1,582 videos on their pages, respectively. Pakistan’s Prime Minister Imran Khan, Foreign Minister Shah Mahmood Qureshi, Albanian Prime Minister Edi Rama, Ukraine’s President Petro Poroshenko and Venezuela’s President Nicolás Maduro have all shared more than 1,000 videos on their respective pages during the past 12 months. Many world leaders use Facebook videos to communicate directly with their audiences. Leo Varadkar, the Irish Taoiseach (Prime Minister), posts regular one-minute subtitled video messages, generally shot on location and direct-to-camera where he addresses his social media community. UK Foreign Minister Jeremy Hunt also often updates his community on his visits and issues with a piece to camera. Read the full post by Kow Abaka Essuman, the Social Media Manager for the President of Ghana. Almost half (332) of the 692 pages have used Facebook Live either to broadcast a press conference, an election rally or an official ceremony. Indian Prime Minister Narendra Modi has generated 35,672,489 live video views on his 237 broadcasts. The White House is not far behind with 32,419,918 live views on its 172 broadcasts. U.S. President Donald Trump averages 438,389 views on his 47 broadcasts over the past 12 months. The most watched Facebook Live was shared by Jair Bolsonaro live from his hospital bed where he was recovering from an assassination attempt during the election campaign in September 2018. During the emotional 20-minute broadcast, then-candidate Bolsonaro attacked his political opponents from the rival Workers Party accusing them of electoral fraud. The European Commission broadcasts occasional Facebook live chats taped in a studio, including a moderator who puts the questions from Facebook users to the relevant Commissioners. The EU Commission also produced the first Facebook Live interview with EU Vice President Maroš Šefčovič in the back of a self-driving car while driving through the streets of Leuven in Belgium, with the camera in the driver’s seat. Dutch Prime Minister Mark Rutte and UK Foreign Secretary Jeremy Hunt are among the few world leaders who sit down for the occasional Facebook Q&A. Hunt has organized three half-hour Facebook Q&A sessions with his team primarily to address questions from his constituents in South West Surrey, including questions about the state of the roads in his constituency but also about national issues including Brexit. Dutch Prime Minister Mark Rutte, who also posts the occasional pieces straight to camera, sat down for a Facebook Live interview outside on his terrace answering selected question directly from his iPad. A handful of leaders have taken matters into their own hands, holding their mobile devices in their own hands while going live on the go talking directly with their followers on Facebook Live. Armenian Prime Minister Nikol Pashinyan often updates his constituents about his government’s activities going live on Facebook from the back of his car or walking about in his office. The quality of the audio or the filming might not be the best, but the direct engagement has endeared his followers and he has made it into the Top 10 list of the world leaders with the most interactions. New Zealand’s new Prime Minister, Jacinda Ardern, often does impromptu Facebook Live broadcasts using her mobile device from her couch at home and even from her car, updating her followers about the latest government decisions. Her most watched live broadcast, with 870,399 views, is a thank you message to her followers shortly before leaving the hospital after giving birth to a baby girl in June 2018. The 38-year-old politician has seen her page follower count balloon to over half a million in the wake of the March 2019 Christchurch terrorist attacks which killed 50 people in two mosques. For the second year running, Jacinda Ardern is the “most loved” world leader with 20 percent of her Facebook interactions being love hearts sent by her followers, which is all part of what has become known Down Under as #JacindaMania. Costa Rica’s President Carlos Alvarado Quesada is the second most loved world leader, with 19 percent of his interactions being expressions of love which might be linked to his use of Facebook Live. He is known to do impromptu “person on the street” broadcasts with his mobile phone. The 38-year-old did a short Facebook Live during an official meeting with his Chilean counterpart, 68-year-old Sebastian Piñera. His most watched Facebook Livebroadcast, viewed more than 1 million times, is a five-minute walkabout in Plaza de la Culturain the capital San José, meeting random passers-by who took selfies with him. The presidential walk about was designed to show how peaceful Costa Rica is after the president and his wife had been harassed by protestors in the same square that same morning. Danish Prime Minister Lars Løkke Rasmussen takes to Facebook Live every other week sharing his Sunday thoughts reflecting on the week gone past without any of his advisers or spokespeople by his side. His most viewed broadcast was a 15-minute reflection about international cooperation, a discussion which he continued in the comments under the video. And Puerto Rico’s Governor Ricardo Rosello also does occasional short Facebook Lives announcements by himself in Spanish. He also records in English and posts as promoted posts to reach a larger audience in the United States. Relatively few pages have taken advantage of Facebook’s cover video, which plays automatically. Only 49 pages have a video as their cover illustration. The Facebook page of the White House uses a video compilation of the most salient moments of the Trump presidency. The cover video of the Austrian government takes viewers on a fisheye whirlwind tour of the Chancellery on Ballhausplatz in central Vienna, which has been the official residence of the most senior Austrian cabinet minister for over 200 years. Only four world leaders have stitched together a series of photos to create a carousel cover. Seventeen pages do not have a cover picture. Facebook cover pictures can also be used to highlight specific campaigns. Recently the President of Costa Rica, Carlos Alvarado Quesada, posted a pictureof himself, his wife and his son wearing different colored socks in honour of the International Down Syndrome Day with the slogan Different but Equal. It is impossible to ascertain how many pages have posted Facebook Stories as they disappear after 24 hours. However, we have counted 20 pages which have shared these ephemeral stories which are highlighted with a blue circle around the avatar of each page. It is easy to share Instagram Stories on Facebook by linking both accounts, as the Australian Prime Minister Scott Morrison has done, sharing more personal moments with his constituents on both platforms. Facebook is one of the best platforms to contact and start conversations with world leaders and their social media teams. Out of the 692 pages analyzed, 264 publish their contact email and 247 publish their telephone number. Three quarters of all the pages prominently feature a Facebook page button. Read how Russian Foreign Ministry Spokesperson Maria Zakharova personal Facebook profile has been one of the driving forces behind Russia’s digital diplomacy. Two world leaders, namely Keith Rowley, the Prime Minister of Trinidad and Tobago and Israeli Prime Minister Benjamin Netanyahu, use the page button to invite their fans to join their respective support groups. The support group for the Prime Minister of Trinidad and Tobago has 78,896 members, more than his Facebook page which has 52,423 fans. Benjamin Netanyahu’s private support group has grown from 1,467 members in 2018 to 30,000 members in 2019. Facebook groups are a smart way to interact with one’s most dedicated fans. Membership is reserved for fans only, keeping pesky detractors and critics at the door and groups offer more direct communication between the group administrator and its members. Benjamin Netanyahu’s private group is probably more powerful than the 2,394,595 fans on his Facebook page. The page of President Donald Trump is the only page which encourages fans to ‘Shop Now,’ directing users to the Shop.DonaldJTrump.com website where they can buy Make America Great Again paraphernalia, from MAGA pet leashes to MAGA hats and t-shirts. Two thirds of all World Leaders’ Facebook pages allow fans to contact the page privately using Facebook Messenger. Furthermore, 280 pages display a large ‘Send Message’ button on the top of their pages. Until recently, Facebook was tracking their interactions and publicly displaying the average response time to messages on each page. As of March 2019, 22 pages typically reply ‘within a day,’,six ‘within a few hours’ and three were flagged as “Very responsive to messages” displaying a special button. But being open to messages and being responsive using automated responses doesn’t necessarily mean that these pages will reply to messages. The ‘very responsive’ pages tend to send automated replies using chatbots. The presidency of Senegal, the Department of Information of the government of Malta and the government of Singapore all send automated replies. The government of Malta promises to “be with you in due course” and includes the customer care opening times. The Presidency of Senegal promotes the presidential website to follow the news of the president. Read how Malta’s Department of Information replies to direct messages. The government of Singapore, which has 287,537 followers, uses the Gov.sg bot, designed “to help you stay connected with the latest government news and announcements.” The chatbot is surprisingly chatty, giving users the choice between leaving a question or feedback. If ‘feedback’ is chosen, it will give a choice of 10 topics from housing to immigration, defense and education, or the Gov.sg chatbot itself and it will ask the visitor to leave an email or telephone number. New Zealand’s Prime Minister Jacinda Ardern, who has more than half a million followers, has changed her automated reply over the past year. In 2018 she indicated that: “I try to reply to everyone personally but that does mean a bit of delay.” Her message now reads: “Unfortunately, due to the large number of messages I receive, I’m no longer able to reply to all messages personally. However, one of my team will reply to you ASAP.” And her team does reply in person to the Messenger messages, inviting users to send an email to her parliamentary assistant. Discover the Dutch 10-step social media plan by Paul Frank, online & social media strategist at the Dutch Ministry of Foreign Affairs. The German government doesn’t accept direct messages on its Facebook page; however the page of the Bundesregierung is unusual in terms of the open and direct interaction with its users. The page was created on January 20, 2015 with the aim of starting a dialogue between the government and its citizens. Today, the page has more than half a million followers and the social media team does read all the comments under each post and interacts directly with its fans. The 16-person strong team likes positive feedback, provides more in-depth information or sets the record straight. ” including the flower emoji. Adding closed captions on video is crucial since most users watch videos in silent mode. Many governments will add text to videos before upload, but few use the closed caption function available on Facebook. The closed captions will improve its discoverability in Facebook search, help the hearing impaired and make the videos watchable in silent mode. When posting infographics, the German government consistently posts the text of the infographic and describes the visual elements in a comment which helps the visually impaired read and understand the infographic. One of the best ways to draw attention to posts and potentially increase their reach is by tagging other Facebook pages. The Belgium Foreign Ministry consistently tags other pages in its publications, such as international organizations and the pages of its own embassies. The digital diplomats in Brussels also show that institutional communication doesn’t have to be boring – they add Facebook expressions to their posts. The Facebook expressions range from “eating waffles at the United Nations” to “supporting UN Women” on International Women’s Day, from “feeling cold in Astana” and “remembering our fallen soldiers at the Canadian War Museum.” Using the Facebook’s pre-set expressions is a simple and fun way to make the official communications more engaging. Indian Prime Minister Narendra Modi is by far the most popular world leader on Facebook, with more than 43.5 million likes on his personal page and 13.7 million likes on his institutional Prime Minister of India page, which is in fourth position. U.S. President Donald Trump is the second most popular world leader, with more than 23 million likes on his personal Facebook page, which has grown by only three percent over the past 12 months. Jordan’s Queen Rania has seen her page grow by five percent over the past 12 months, and is in third position with 16.9 million likes, reaching an Arabic and English audience well beyond the 5.8 million Facebook users in Jordan. The Facebook page of Cambodia’s Prime Minister Hun Sen continues to register double-digit growth and has shot into fifth position of the most followed world leaders, with 10.9 million page likes and a growth rate of 14.8 percent. Interestingly, he has more Facebook fans than Cambodia has Facebook users (8.8 million) but still less than the 29 million people interested in the Khmer language on Facebook. Brazil’s President Jair Bolsonaro has made his entry into the top 10 most followed leaders in sixth position, with 9.3 million followers and a 78 percent growth rate over the past year which was marked by the election campaign in Brazil. Turkish President Recep Tayyip Erdoğan, Pakistan’s Prime Minister Imran Khan, Indonesian President Joko Widodo and the White House complete the Top 10 of the most popular world leaders on Facebook, each with more than 8 million likes. Fifty-three world leaders can boast more than 1 million likes on their respective Facebook pages. However, not everyone has such large communities and the median average of the 692 pages analyzed stands at 37,737 likes. Kenya’s Uhuru Kenyatta is the most popular leader in Sub-Saharan Africa with 3.6 million likes, ahead of Ghana’s President Nana Akufo-Addo with 1.6 million likes. Rwanda’s Paul Kagame, Cameroon’s President Paul Biya and Nigeria’s Muhammadu Buhari complete the top five list with more than 65,000 and 761,000 likes, respectively. Jordan’s Queen Rania, an early adopter of Facebook, has been topping the list of the most popular leaders in the Middle East and North Africa for several years. With 16.9 million likes, she has twice as many followers as Egyptian President Abdel Fattah el-Sisi with 7.3 million likes and is ahead of His Highness Sheikh Mohammed bin Rashid Al Maktoum, the Emir of Dubai, with 3.8 million likes and Jordan’s Royal Hashemite Court with 2.9 million likes. Brazil’s President Jair Bolsonaro has become the most popular leader on Facebook in Latin America ahead of Mexico’s President Andrés Manuel López Obrador with 5.6 million likes (as many as his predecessor Enrique Peña Nieto). Argentinian President Mauricio Macri is the third most followed Latin American leader with 4.4 million likes. The Argentinian Presidency and Guatemala’s Jimmy Morales complete the list of the five most liked leaders in Latin America, with 1.6 and 1.2 million likes respectively. The British Royal Family is the most followed leader in the European Union with 4.1 million likes, ahead of French President Emmanuel Macron with 2.3 million likes and Romanian President Klaus Iohannis with 1.8 million likes. The EU Commission and Italy’s Prime Minister Giuseppe Conte complete the top five of the most liked European leaders on Facebook with both more than 850,000 likes. The governments of only 11 countries have not yet set up a presence on Facebook, including Nicaragua, North Korea and Turkmenistan, where the social network is banned, as well as a handful of small island states in the Pacific Ocean. A Facebook page was set up for the Chinese State Council Information Office @ChinaSCIO on September 1, 2015. The page which shares information in English from Chinese state-run media is not verified and only has 601 likes. Large Facebook pages should generally translate into large interactions (defined as the sum of likes, comments and shares), however this is not always the case. Brazil’s President Jair Bolsonaro tops the ranking for the most interactions with 145 million interactions on his Facebook page over the past 12 months. Bolsonaro has three times more interactions than Indian Prime Minister Narendra Modi, who has more than four times more followers. Donald Trump’s interactions on Facebook also dwarf those of the Indian Prime Minister, despite Modi having almost twice as many followers. With 8.9 million followers. Pakistan’s new Prime Minister Imran Khan is in fourth position and over the past 12 months he had almost as many interactions as Modi, who has four times as many followers. Mexico’s new president, Andrés Manuel López Obrador, Colombia’s new president Iván Duque and Armenia’s Prime Minister Nikol Pashinyan have all made it into the top 10 list of the leaders with the most interactions. With five of the 10 leaders having fought election campaigns in 2018 it seems likely that the engagement on their respective Facebook pages exploded during election campaigns. And Indonesian President Joko Widodo is facing a re-election in April 2019. Since his inauguration in 2017 U.S. President Donald Trump has been using his Facebook page to gear up for the election in 2020. Overall, interactions have markedly decreased across the board. In our last study in 2018, Donald Trump had accumulated 204 million interactions on his page and an overall interaction rate (the sum of all interactions divided by the number of posts and the average page likes) of 0.41 percent. In this year’s study, his interaction has dwindled to 84 million and his interaction rate was slashed in half. Likewise, Indian Prime Minister Narendra Modi only registered 47 million interactions, down from 113 million interactions a year ago. Some governments use Facebook as their governmental wire service, and 17 pages average more than 10 posts per day. The Facebook page of the government of Botswana is the most prolific, with an average of 37 posts per day over the past 12 months. The presidential administrations of the Dominican Republic and of Ghana both average more than 20 posts per day. The foreign ministry of Colombia and the government of Ethiopia complete the list of the five most active governments with 18 posts per day, respectively. However, the posting frenzy doesn’t necessarily translate into greater engagement, or more likes on their respective pages. The average posting rate for all the pages stands at 1.77 posts per day. All 692 world leaders combined have published 449,739 posts over the past 12 months, which is a median average of 385 posts per page. While an active social media presence is vital to keeping an audience engaged, pages that are overly active generally don’t enjoy high interaction rates. All 692 pages combined have an average interaction rate of 0.83 percent, which is the sum of all interactions divided by the number of posts and the average page likes over the past 12 months. Only a quarter of the pages analyzed enjoy a better than average interaction rate. Three pages have double-digit interaction rates; these are exceptions because these pages have published few posts and only have several hundred page likes. The new President of the Democratic Republic of the Congo, Félix Antoine Tshisekedi, has the best interaction rate, at 26.79 percent, on his 15 posts shared over the past 12 months with his 104,630 followers. Posting intermittently seems to be the recipe for success for Finnish President Sauli Niinistö, who has an interaction rate of more than 5.65 percent on his page which has 292,515 likes. To increase the transparency of pages, Facebook publishes the number of people who have access to the page either as an administrator, editor, moderator, analyst or jobs manager as well as their geographic locations. We have counted a total 4,142 page managers on the 592 pages where the information was available. The median average number of page managers is five which is probably the ideal size of a social media team. Ninety-six people have access to the Facebook page of the Korean governmentwith most of them based in South Korea and one in the U.S. The government of Singapore has given 62 people access to its page, some of them based in the Philippines, India, Taiwan and Malaysia. The European Commission’s page is also managed by 62 people, mainly based in Belgium but also in Greece, Germany, the Netherlands, Romania, the island of La Réunion and the U.S. The page of the UK Foreign Office is managed by 28 people with two in the U.S., one in India, one in Singapore and one in Spain where the Foreign Office has regional social media hubs. Having regional editors allows the Foreign Office to operate through time zones and helps with crisis or out of hours work. The size of social media teams varies widely from country to country. In smaller countries, such as Iceland, the Foreign Ministry’s social media team “is still a one-woman operation,” as the community manager put it. Read about the Facebook strategy of the Slovak Foreign Ministry «by Vladimír Stanko. It is widely accepted that to make an impact on Facebook in 2019 you must ‘pay to play’ and promote the posts or page using Facebook ads. 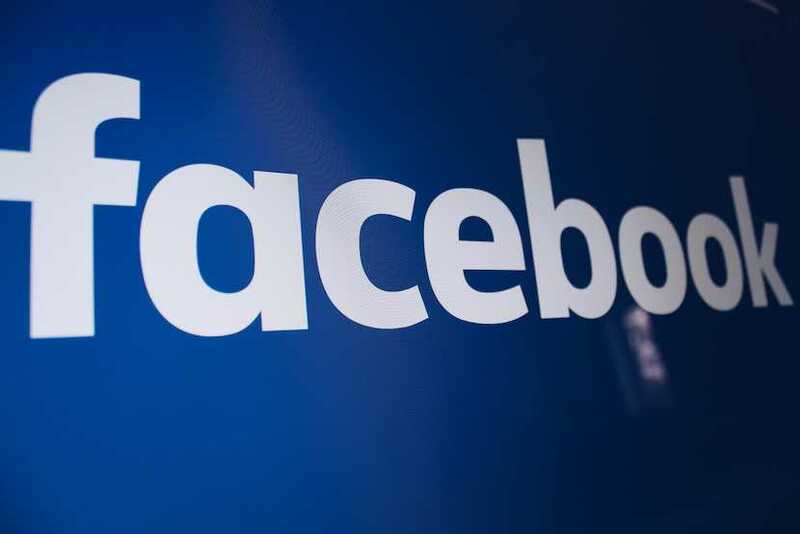 In the beginning of March 2019, 50 pages had been running ads on Facebook according to Facebook’s Ad Library which is available on each page. There are a variety of reasons to promote a post or the page in their own countries or even in other countries. The Prime Minister of Palestine ran ads in 18 Middle Eastern countries, including Israel, to promote his personal Facebook page to an Arabic speaking audience. The team of the new President of Georgia, Salome Zourabichvili, has paid to promote the page to Georgian Facebook users. Ilham Aliyev, the president of Azerbaijan, has promoted his page in Azerbaijan but also in Turkey. The Foreign Ministry of the Dominican Republic promoted a post of the Twiplomacy ranking in which the foreign ministry is listed among the 10 most active Instagram accounts. The UK government has been running ads in the UK in English and in Polish about the virtues of bonding with your baby during the first year. UK Prime Minister Theresa May has paid for 74 ads in December 2018 with the simple message:‪ “I want to get on with Brexit.” According to media reportsthe UK government spent USD $127,000 to promote these posts. Ricardo Rossello, the governor of Puerto Rico, generally promotes his Facebook Live broadcasts. He has also promoted a personal video messageto the US President in which he pleads with Donald Trump not to eliminate recovery funds for his island struck by Hurricane Maria. In general, governments pay less than USD $100 to promote each post, but some have spent between USD $1,000-$5,000 on their Facebook ad campaigns. The page of Donald Trump has posted more than 50,000 ads since inception which can all be viewed in his Facebook ad library. On any given day the Donald Trump page has several ads live on the platform. The U.S. President is clearly gearing up for re-election in 2020 and his Facebook page is one of the cornerstones of his digital re-election campaign. In 2018, 10 world leaders have had their advertisements taken down by Facebook for failing to add a disclaimer about the political nature of their ad. The innocent 15-second video ad promoting the different social media accounts of Bolivia’s President Evo Morales was taken down because as Facebook put it: “This ad ran without a disclaimer. After the ad started running, we determined that the ad was related to politics and issues of national importance and required the label.” Likewise the video of Zimbabwe’s President Emmerson Mnangagwa replying to one of his Facebook followers, which ran without a disclaimer, was also taken down, but not before it had reached between 50,000 and 100,000 impressions for a budget of less and USD $100. For the fourth edition of the World Leaders on Facebook study, BCW has identified a total of 692 Facebook pages and 13 personal profiles, 393 of which have been verified by Facebook and carry a blue verification mark. The remaining 299 pages are not verified, but we believe that they can be considered as official pages. We also discovered 13 personal profiles of world leaders, including the personal account of Japan’s Prime Minister Shinzō Abe, which we could not include in this analysis despite having 590,801 followers since it is not a verified profile. And finally, we have not included inactive pages as it was virtually impossible to determine their authenticity. Data was collected on March 1, 2019, using BCW’s proprietary tools and Crowdtangle.com to capture the historic data for all 692 pages including the total interactions (comments, likes, shares), interaction rates as well as all video views and posts from March 1, 2018 to February 28, 2019. A PDF of the entire study is available here and the full Twiplomacy data set can be downloaded here. Feel free to contact us for more detailed explanations and analysis.